GREAT POTENTIAL! This home has a formal dining room w/ trey ceiling and an extra large family room w/ fireplace. Arched entry to kitchen which has an eat in area as well as plenty of cabinet space. 3 bedrooms and 2 full baths up. Separate staircase leads to a bonus room. HUGE backyard. APPROVED SHORT SALE PRICE! SOME ELECTRICAL/HVAC WIRING REMOVED. GREAT POTENTIAL! This home has a formal dining room w/ trey ceiling and an extra large family room w/ fireplace. Arched entry to kitchen which has an eat in area as well as plenty of cabinet space. 3 bedrooms and 2 full baths up. Separate staircase leads to a bonus room. HUGE backyard. APPROVED SHORT SALE PRICE! SOME ELECTRICAL/HVAC WIRING REMOVED. 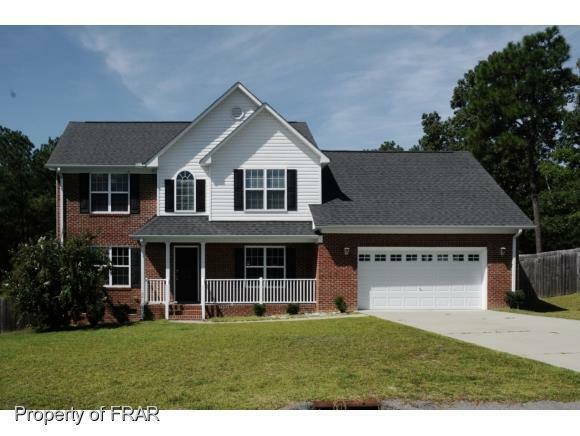 Call 910-849-2892 to schedule a showing!